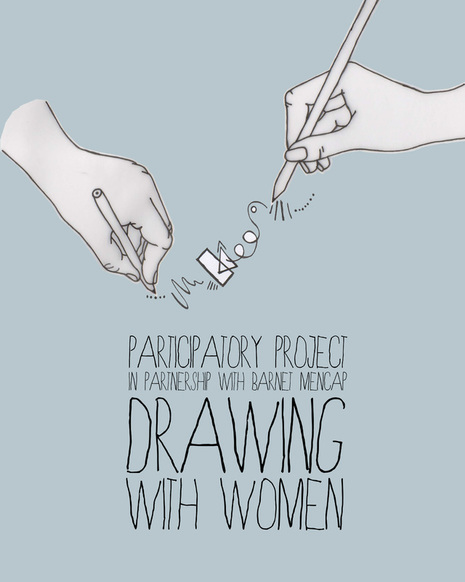 ​Drawing with women was a four week programme in partnership with Barnet Mencap in 2013. The project brought together a group of artists, with and without learning disabilities. The purpose of the group was to explore creativity and drawing together with a focus on equal participation in the groups creative direction. The groups emphasis was on the creative enjoyment of drawing; not goal orientated to produce a final or finished product. With this as our foundation we went on to explore and together debunk common myths about drawing – the biggest being that everyone can draw, and that the process of art making can be just as, and possibly even more rewarding and important than the final product itself.